Stylish nest of tables which are very eas6 to construct. 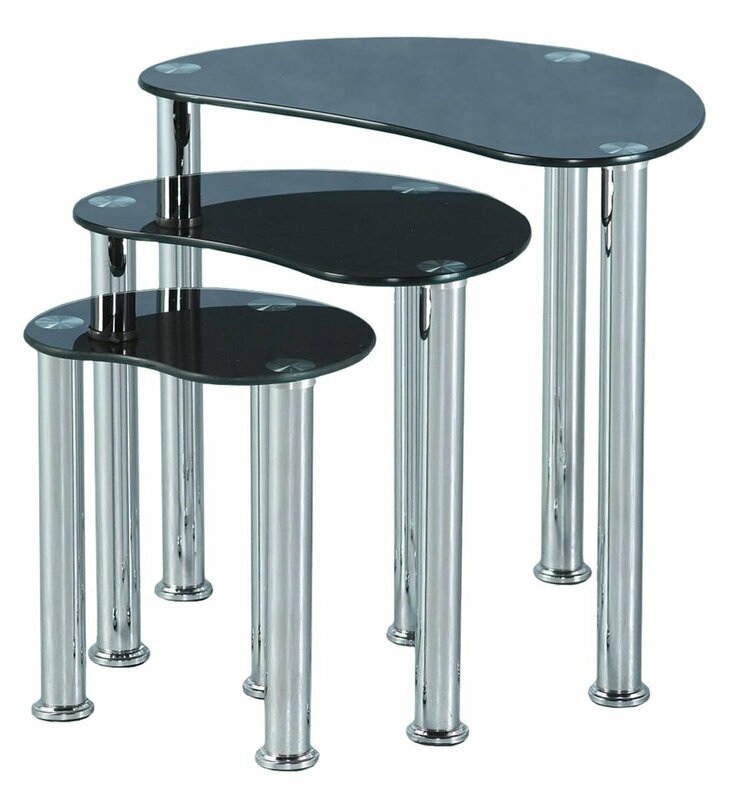 Nice solid set of 3 glass tables Lovely qualify and nice heights. Design is very different from your traditional nest of tables which makes them extra nice. Fits nicely into room and are very useful and quite sturdy. Rubber rings to legs keep falling off. Ensure guests put mats on tables for hot drinks! The tables are exactly as I expected.